Robin George Collingwood was certainly English enough, and even philosophers and historians can display kinds of courage, but I am not sure he would have worn those other epithets with quite such comfort. Collingwood wrote his own autobiography, but it displayed rather little comedy or commonness in his vision, though one can well imagine a thin-lipped, acidic smile as he skewered another of the idiots and impostors by whom he felt himself constantly surrounded. But by placing Collingwood in his context, Fred Inglis does much to rectify the slightly paranoid portrait of the autobiography. Even if Collingwood was not the jovial, beer-drinking common man that Inglis would have liked him to be, it is good to see him brought some way back to the human fold. Collingwood grew up in a particularly enchanted corner of that fold. He was born and raised in the ineffably beautiful Lake District by artistic and musical parents, and surrounded by adoring sisters. Ruskin, to whom Collingwood’s father acted as a kind of secretary, lived just down the road, so the importance of art and craft were woven into the entire life of the family. Ruskin made no distinction between aesthetic beauty and moral excellence, and Collingwood’s father had been a pupil of T.H. Green at Oxford, whose high philosophical ideals for thought and character set their stamp on an entire generation of students. So plain living and lofty thinking were part of the air that Collingwood breathed from infancy. Collingwood’s parents, both of whom were practicing painters, educated their children themselves in a home where, high-minded as they were, their lives still sound almost impossibly idyllic. A frequent guest was Arthur Ransome, whom they taught to sail in their boat, Swallow, which he later immortalized in that classic of childhood innocence, Swallows and Amazons. Collingwood divided his time between joyfully rambling the beautiful lakeland fells, joyfully sailing on Coniston water, joyfully picking up languages as easily as blackberries, and by the age of eight, puzzled but still joyful, dipping into Kant’s Prolegomenon to the Metaphysics of Morals in his father’s library. This background had another consequence for the later philosopher. Collingwood tells us that he was naturally practical and dextrous, and all the painting and the sailing, together with his later archaeological digs in the many remains of Roman and Celtic Britain that dot the Lake District, gave him an entrenched admiration of muscular, working, problem-solving, practical affairs. He was touchingly, or annoyingly, vain of his capacity to identify a Roman shard, or fix a fouled anchor, or resurrect a dead engine. In a different environment, he might have become an engineer--as Wittgenstein, with similar gifts, did. Each of them was consequently to put the idea of practice and technique at the heart of their philosophies, albeit in very different ways. Childhood could not last forever, and Collingwood was packed off to Rugby to be made into a decent chap. Although he later displayed little but contempt for this slice of his education, Inglis is surely right that, judging by the roll-call of able and admirable pupils it turned out, Rugby must have been first rate. It also penetrated far deeper into Collingwood than he may have wanted to acknowledge. He certainly developed the astonishing arrogance of the public school product of the time--but also a romantic attachment to the rituals, the tribal ceremonies, the symbolism of flags and chapels and memorial plaques and all the other idols and relics that cement the young together, and which later disposed him to his sympathetic and acute interpretation of the place of magic and religion in the lives of human beings. Public schools made (and still make) Anglicans, and this was fine by Robin George. Collingwood’s cherished pose of being an outsider and prophet must have been ruffled somewhat when he was given one of Oxford’s most prestigious academic appointments, the Waynflete Chair of philosophy, in 1934. Unhappily, during the remaining years until his death in 1943, his health gradually deteriorated under a series of small strokes. But during those years the works by which he will be remembered--The Principles of Art; An Essay on Metaphysics; An Autobiography; The New Leviathan; and the texts later published influentially as The Idea of History--followed one another with breathtaking rapidity. Even a jolly sail with some young students around the Mediterranean produced a book (and a very enjoyable one), The First Mate’s Log, loyally published by Oxford University Press. When Inglis talks of the tragedy of Collingwood’s life, he may have had in mind the premature illness that closed it, or perhaps the disparity between Collingwood’s conception of what needed to be done by philosophy and what he himself did. For at the end of An Autobiography Collingwood pitched himself as having vast projects to save Western civilization from itself. There is something very tweedy, and eventually slightly comical, in his brash confidence that if he could change a few minds in Magdalen and All Souls, then he could turn back the barbarians then overrunning Europe. But I think we should resist finding it either embarrassing or tragic. Collingwood was utterly sincere in his conviction that civilization could be saved only with the right ways of thinking and feeling, the right understanding of art and of history, and the right morals, and that all these were his to give. He might even have been right. Everything about it was visibly misshapen, corrupt, crawling, verminous; for a time I could not bear to look at it, and passed by with averted eyes; recovering from this weakness I forced myself to look, and face day by day the question: a thing so obviously, so incontrovertibly, so indefensibly bad, why had Scott done it? To say that Scott was a bad architect was to burke the problem with a tautology; to say that there was no accounting for tastes was to evade it by a suggestio falsi. What relation was there, I began to ask myself, between what he had done and what he had tried to do? Had he tried to produce a beautiful thing; a thing I meant, which we should have thought beautiful? If so he had of course failed. But had he perhaps been trying to produce something different? If so he might possibly have succeeded. If I found the monument merely loathsome, was that perhaps my fault? Was I looking in it for qualities it did not possess, and either ignoring or despising those it did? The passage is a fair specimen of Collingwood’s rhetorical gifts, as well as his tendency to overkill--playing his own game, we might remark that it is not very intelligent to parse a possible aim of Scott’s, to produce a beautiful thing, as the aim to produce something that Robin George Collingwood, strolling by fifty years later, should find beautiful. Scott might have been well able to suppose that future ages would not appreciate the true beauty of his work, as any of us who try to make things or words might fear. One can sympathize with Collingwood’s dislike of the monument, even if the Albert Memorial is not much worse than similar monsters by different Gothic Revival architects in Edinburgh or Manchester. And as Inglis properly notes, it is a pity that Collingwood never tells us what he eventually decided Scott had in fact been up to in making the thing. But in spite of raising such queries, the passage shows Collingwood pouncing on a vitally important point, and the one which gave him perhaps his life’s central insight: you cannot tell what someone meant by looking at his artistic, or verbal, productions alone. You must “also know what the question was (a question in his own mind, and presumed by him to be in yours) to which the thing he has said or written was meant as an answer.” This also gave him one of his central targets: philosophers who find it easy to yank a sentence from Plato, Leibniz, Hume, or whomever, and triumphantly demonstrate that it is false or meaningless or both, without paying any attention to the problem to whose solution it was intended as a contribution. You understand someone, according to Collingwood, not in the way you might come to understand a piece of machinery or any other mechanical or causal process, but by “re-enacting” in your own mind the problem they were addressing and the solution they were proposing. The idea that you “put yourself in someone else’s shoes,” or in some sense simulate their own thinking yourself, is an old one: it was the aim of nineteenthcentury thinkers such as Dilthey to distinguish the sciences of the mind from the sciences of nature precisely through this element of verstehen, or “understanding.” And contemporary philosophy has kept hold of this idea, so the rivalry between “simulation theory” and the view that we have a kind of inbuilt theory of the minds of others, rather than an imaginative ability to enter their shoes, is very much a topic of current debate. This is just one case where much effort has been spent laboriously rediscovering insights that seemed to come to Collingwood quite effortlessly. Indeed, his whole philosophy of mind is remarkably modern. Gilbert Ryle, Collingwood’s successor, was famous for his exorcism of “the ghost in the machine,” his hostility to treating the problems of mind and body as if they concerned the relation of two things, one bodily and physical, and the other the ghostly self that somehow infused, inhabited, or animated the body. Ryle apparently did not notice that Collingwood preceded him: “the problem of the relation between body and mind is a bogus problem which cannot be stated without making a false assumption ... for man’s body and mind are not two different things. They are one and the same thing, man himself as known in two different ways.” Collingwood denies the assumption that in our day continues to inform most attempts on the “problem of consciousness.” For the difficulty does not lie with a metaphysics or ontology of mind: mind and its place in nature. It lies with understanding the two different epistemologies: the way we know about peoples’ minds, as opposed to the way we know other things about them. The only serious question is the relationship between the sciences of matter--physics, chemistry, physiology--and the ways we know our own minds, and those of others. We learn what thought is only by studying the way in which it can be attributed: in this respect, a correct epistemology of thought is the first requirement, preceding and in fact rendering unnecessary any metaphysical ruminations about mind and matter. To understand mind and its place in nature means first understanding mind and its place in mind. Collingwood calls this epistemology a theory of history, but it is what we call, with less dignity, a theory of folk psychology. He is quite clear that it is not only concerned with the remote past: “If it is by historical thinking that we re-think and so rediscover the thought of Hammurabi or Solon, it is in the same way that we discover the thought of a friend who writes us a letter, or a stranger who crosses the street”--and, he adds, our own thoughts of ten years or five minutes ago. Under the title of “interpretationism,” this approach, too, is a mainstream contender in contemporary debates, although usually credited to the later Davidson rather than the earlier Collingwood. The discovery of myself as a person is the discovery that I can speak, and am thus a persona or speaker; in speaking I am both speaker and hearer; and since the discovery of myself as a person is also the discovery of other persons around me, it is the discovery of speakers and hearers other than myself. I doubt if there has ever been so succinct and perspicuous a statement of the public nature of the self: my essential interdependence with the social world, the world of people whom I can understand and who can understand me by reciprocally owning, or re-enacting, our thoughts for each other; the discovery as well of ourselves as belonging to a community whose values and norms are not external impositions but part of the warp and woof of the persons that we are. The integration of self and others that Collingwood here paints so deftly informed not only his philosophy of mind, but also his philosophy of art, history, morals and politics. When right-wing politicians say that there is no such thing as society, or when self-proclaimed followers of Adam Smith valorize atomistic self-interested economic individuals in their antagonistic relationships, Collingwood stands, sword in hand, forbidding their ascent from their private hell into the real human world. This attitude gave Collingwood an uncommon sympathy with religious ritual and practice, and a much more realistic understanding of its ongoing place in human life. He also enables us to see why the majority of people, including those like myself who have no religious attachments, are nevertheless embarrassed at the dogmatic contempt poured on religious practice by our more militant atheists. Every sane person recognizes at some level that dance, music, poetry, and ritual may be just what you need as you prepare to face a battle, or desolation, failure, grief, or death. Most contemporary philosophers think of their subject in an entirely unhistorical way. They conceive of themselves as investigating things such as the nature of thought, or truth, or reason, or meaning. They wonder what a language, or a mind, or a world is that thought and reason and the rest are possible. This conception of the investigation is entirely “a priori”: the problem would be the same as it perplexes us and as it perplexed Plato or Descartes. For Collingwood, this is all self-deception. What we may think of as a priori and timeless will be no such thing. It will be simply an application of the “absolute presuppositions” of our own period of thought. Those are the presuppositions that lie so far underneath the edifices we build that we cannot dig down to them. They remain invisible, if only because they would be at work determining the shape our digging would take, or what we could notice as we conducted it. We can never step on our own shadow. The only power that can reveal these presuppositions is that of time: later generations will see them, but we cannot. Myself, I find nothing shocking or surprising in this claim. The hiddenness of a presupposition is like the peculiarity of a fashion, obvious to subsequent generations but necessarily invisible to those whose fashion it is. When Hans van Meegeren forged paintings of Vermeer, he could deceive most of his contemporaries in the 1930s, but what he produced now look like 1930s paintings, even to an amateur eye. When Sir Arthur Evans meticulously and diligently reconstructed the Minoan palace at Knossos, it looked like a contemporary Hollywood film set, a fantasy of what Knossos might have looked like. Collingwood hated the dominant philosophy of his time because of its unhistorical nature. It is not possible even to do science, in his view, without presupposing history, since it is only through their records and their results that scientists can pick up and profit from the labors of their colleagues. But in principle, at least, it is possible to be a good scientist, at the cutting edge of a field, with little historical sense. Philosophy, by contrast, is concerned with thought--and as we have seen, Collingwood held that you cannot identify a thought unless you know to what question it was supposed to be an answer. The history of philosophy is therefore not a somewhat down-market curriculum option of no great interest to contemporary practitioners, just as the history of physics might exist alongside physics as something for retirement or bedtime. Instead Collingwood sees thought as something that is historically embodied: the idea of a worthwhile philosophy with no reflection on its own historical situation would be a contradiction. We can understand where we are only by understanding where we have been: how we got there, and the thoughts of those who would wish us to have got somewhere else. If Collingwood is as acute and interesting as I have suggested, how does it happen that he is largely a minority interest? He has his devotees, certainly; but I doubt if he is more than a ghost in the footnotes to syllabi across the Western world. The comparison to Wittgenstein might help. It is difficult to pick up a page of Wittgenstein without being seduced: whether you understand it or not, the sense is overwhelming that something of the highest importance is being addressed with a rare detachment and intelligence. With Collingwood, there is assertion and bravado instead of seduction. Wittgenstein shows that he is a wonderfully and originally reflective thinker; Collingwood cannot help telling you that he is. Wittgenstein is silent about his being capable of other things as well; Collingwood boasts of it. You can read all of Wittgenstein without knowing of his genuine heroism during World War I. One cannot help feeling that had Collingwood done anything like that, it would have cropped up on every other page. All this is off-putting, and Collingwood’s readers have to learn to shake their heads with a smile rather than toss the whole thing into the bin. Given his idyllic background, the usual alibis for such insecurities--that they were induced by his mother and his father--do not seem to apply. (Wittgenstein’s family, by contrast, seems to have been utterly dysfunctional, as the suicides of three of his brothers attest.) 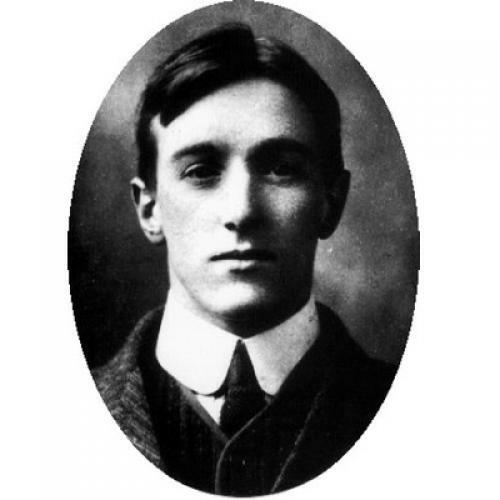 Collingwood did suffer a nasty knee accident at Rugby, which may have deprived him of some desirable public school kudos for excellence at games, but it would be an already insecure boy who let that give him an inferiority complex for the remainder of his days. The truth seems to be that he was utterly and completely confident in his intellectual abilities from childhood, and never saw any reason to conceal it. A lucky life, then, rather than an unlucky one, is the explanation for Collingwood’s unattractive features--unless, as Aristotle thought, we cannot even call men lucky when they die, since we can be harmed after our death. I do not know whether Aristotle was right, but if he was wrong, then in most respects the neglect of Collingwood’s thought may be our tragedy rather than his.